Purple Plum Fairy: Why do I think Unionbank Is Still a Safe Place for Your Money? Why do I think Unionbank Is Still a Safe Place for Your Money? For many years, keeping money safe seemed like a simple, straightforward matter. Other than during times of recession, confidence in banks remained relatively high. After the recent issue involving a Union Bank employee who was arrested for allegedly stealing P17M from their Pasig City branch. I’m pretty sure a skeptical minority would have preferred to keep their cash hidden at their home rather than risk their savings account in banks. But if you ask me, I’d still rely and trust on banks for both my savings and checking needs. After all, UnionBank was able to learn about the said incident by means of its regular routine checking. The culprit was quickly arrested and was filed with the corresponding charges. Banks are huge, complex and dynamic systems that manage huge volumes of cash in real time. The fact that incidents such as this are not everyday occurrences, is actually a testament to how robust and fault tolerant Unionbank's electronic safeguards are. Banks will always be the targets of thieves, but I would rather have my money be in a bank than the thieves to have my home as their target. At least a bank has layers of redundant security, and expertise and then finally insurance. 17 million pesos sitting in a home safe or anywhere other than in a bank would be enough to make anyone lose sleep, worse than that, if it were to somehow be robbed, there would be no getting it back, and people are liable to get hurt or killed when it is taken. 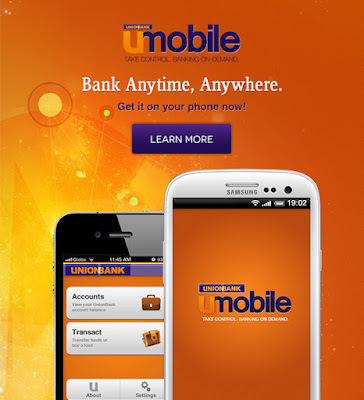 Why do I still trust my bank [Union Bank, in particular]? First of all, what I had mentioned above wasn’t exactly an isolated case for prior to that two other well-known banks went through scrutiny following a 2-day outage. Importantly, the said incident is not in any way involved with cybercrime or cyber security. 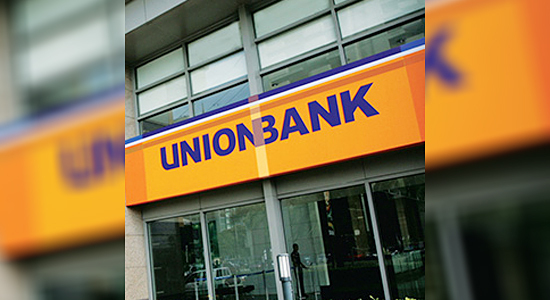 Unionbank on its own conducted a rigorous internal probe to know the extent of the said issue. I still trust that Unionbank always follow the highest level of security, audit, and transparency standards. These days, many people are more concerned about a bank’s system that once seemed to work so well. As you consider the best options for keeping money safe, you may be one of those who wonder, “What should I really be doing with my money right now?” Rest assured that a bank is still among the best options for keeping your money safe. Like every PDIC-insured bank, Unionbank deposits are insured by the Philippine Deposit Insurance Corporation [PDIC] up to the maximum allowed by law. The proverbial cash under your bed not only doesn’t enjoy that protection, but also decreases in buying power with inflation in the economy. Unionbank is committed to making saving easy, secure and rewarding as it can be. As a blogger and netizen, I find Unionbank so convenient. I am a work-at-home freelance writer and social media manager. I usually get my pay check via online banking transfer. I also had my PayPal account which I synced using my Unionbank EON debit card. It needs no maintaining balance and it was easy to apply. Imagine the convenience of having a Unionbank account which I could also use to purchase items and pay my bills. Yes, I also do online transactions like shopping online on my favorite legit group buying sites. 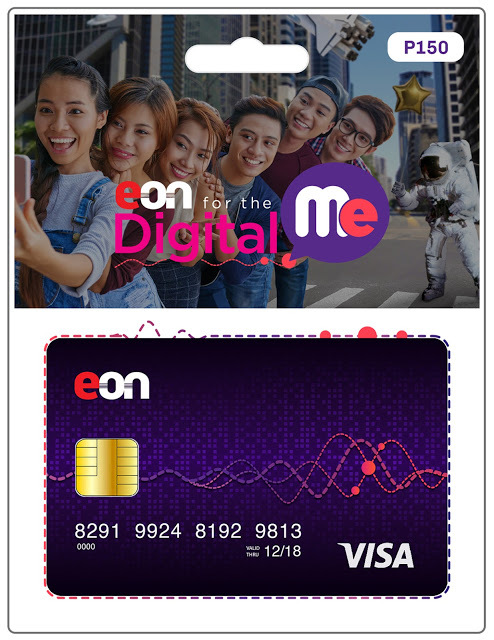 Having the Unionbank EON card gives me easy access to funds because EON app is available on both Google Play store and iOS Apple Store. I can also transfer funds, schedule payments, transfer funds easily and again…go online shopping! The best part? Unionbank EON debit card has probably the most secure banking because of its first selfie feature. Yes folks. It uses facial recognition to log in, so you can have a peaceful sleep knowing that your money is secured and safely stored. You don’t even pay for account alerts and notifications, and you get real help from customer care associates available 24/7. If you’re a jetsetter, Unionbank also have partnerships with Get Go Cards of Cebu Pacific where you can earn more mileage for every minimum spent using your card. Worried your money won’t be safe in the bank? Your savings will lose value over time – you won’t earn any interest. Theft or fire could wipe out your savings – many insurance policies won’t cover money left in the house and if they do, they only tend to cover a small amount, if you have no contents insurance none of it will be covered. You might be burglarized. At the bank, you have all sorts of security and protection in the event of a robbery. There's no reason to be a hero at the bank, all the money is protected. When you're at home, almost none of it is. So if you have a few thousand pesos or dollars [if you own a dollar account] stashed away in the cookie jar, you might be tempted to do something stupid in the event of a burglary (or fire). You could forget where you hid it. The terrible thing about good hiding spots is that they're good hiding spots. If you put it where you least expect it, chances are you'll forget and never find it! In fact, you may even forget that you hid it in your house in the first place, meaning you'll never know to go looking for it. You earn no interest and inflation will eat up your savings. The number one reason why you shouldn't be hiding money in your house is because you earn no interest on it. 0.00 percent annual percentage yield. With all the bank failures and the volatility in the stock market, you might be tempted to take your money out of the bank and hide it in your home. In principle it sounds like a great idea. You hide your money somewhere in your home, you know it'll be there when you need it, and you don't have to worry about losing it because the stock market hiccupped. The problem is that hiding money in your home is quite possibly the worst thing you could do. I've given you five reasons why you shouldn't keep your money at home. And instead, deposit them in a bank that can be trusted like Unionbank. If you have more than the limit within the same bank, or authorized firm, it’s a good idea to move the excess to make sure your money is protected. I'm no bank expert but what I've given you are simply my two cents on banking and safe keeping your money.